Working for ERS Medical covering Premier League Football at Stamford Bridge. 2:0 to Chelsea against West Ham, fantastic match from the start. Chelsea seemed to have the upper hand from the off. On way home through London traffic. Keep safe this Christmas, little people like to put things in their mouthes. Small batteries can not only choke them but burn soft tissue. Best to keep them out of reach and avoid accidents. A scary thought that people facing potentially life threatening scenarios can't use their medication correctly. All candidates did very well on their final day, tackling assessments and final celebration of learning very well. 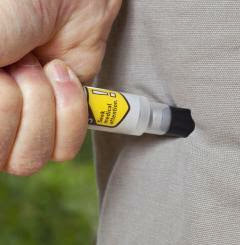 They have also completed the anaphylaxis awareness course. 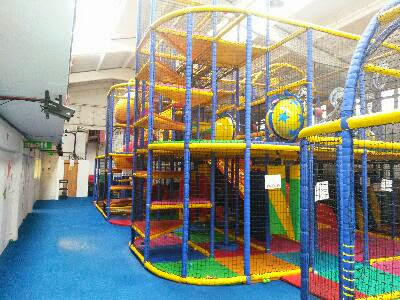 The training completed will support their future goals running child minding businesses. 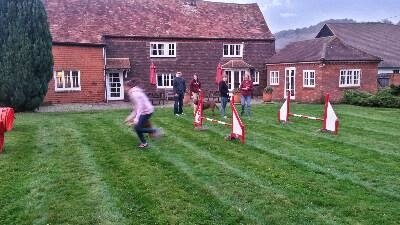 Day one of two day level three Paediatric course near Amersham. Candidates recently qualified and setting up a childcare business, the training meets the Ofsted requirements to register their business. Lovely venue and really nice people, great pre Christmas, end of year course. Bring on the mince pies. Cold and clear today at Chelsea working for ERS Medical. No accidents or dramas just some good football resulting in a 2:0 win to Chelsea against Hull. 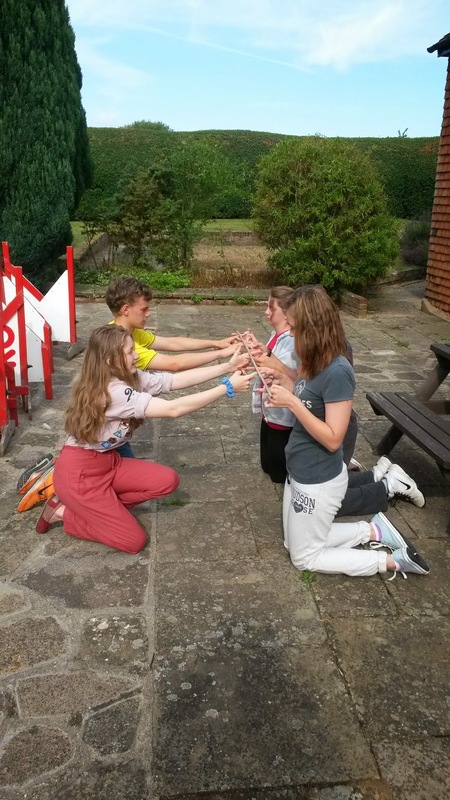 Last day at the Horse Trust, scenarios and a final celebration of learning to top it off. 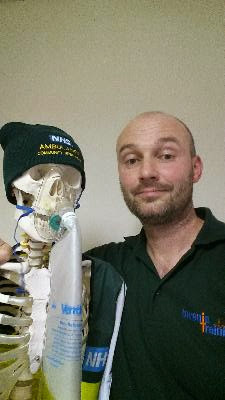 A huge thank you to all the team who made me feel welcome, I'm looking forward to going back in January to complete a second First Aid At Work course with more of the team. Tonight I'm training at Stokenchurch Medical Centre with members of the public keen to learn important basic life saving skills. 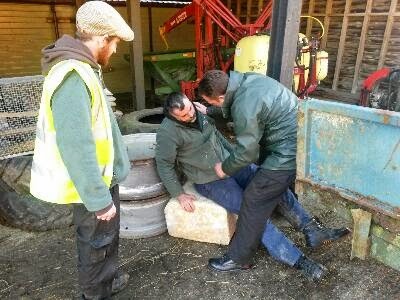 Another cracking day at the Horse Trust, we had some great scenarios adding a little realism and relevance to the First Aid At Work training course. 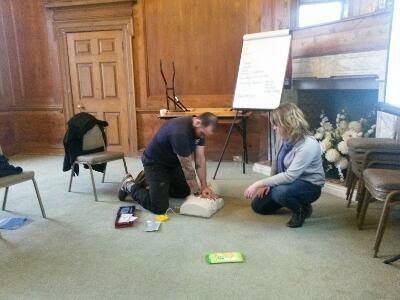 Last day tomorrow, followed by an evening Basic Life Support course at Stokenchurch Medical Centre. A tale of two halves today. 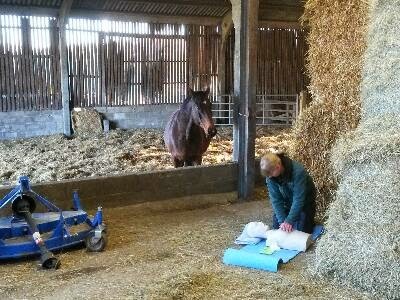 This morning and afternoon day one of a three day Equine First Aid Course for the Horse Trust at Speen, Buckinghamshire. 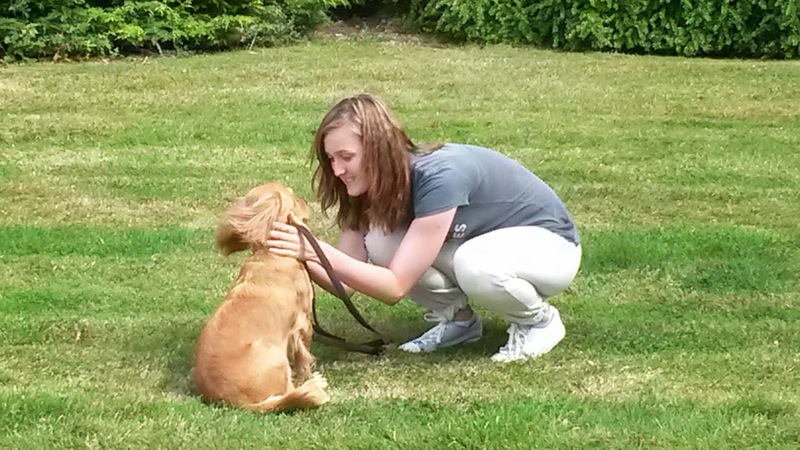 This evening was a Pet First Aid Course, held at Hearing Dogs For Deaf People. Great day with really nice people, interested in their subject. 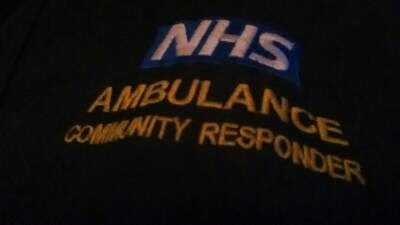 Another cracking days training with community first responders from South Central Ambulance Service. The team have completed a First Aid At Work course, AED and Anaphylaxis Awareness certificates over the last few weeks with today the final day. 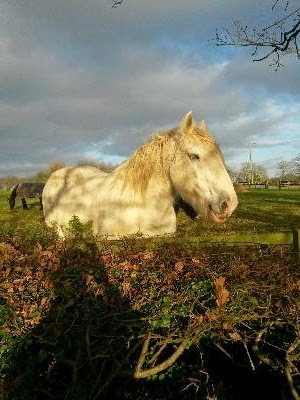 Cracking day Grommit, a cold but clear day at The Horse Trust's, Rest Home for Horses. 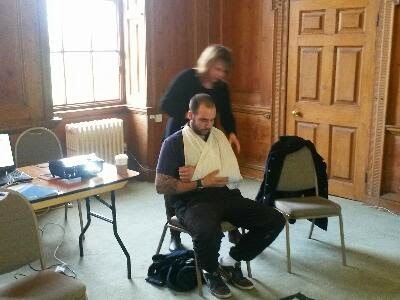 A one day Emergency First Aid at Work course, using the amazing facilities and grounds. 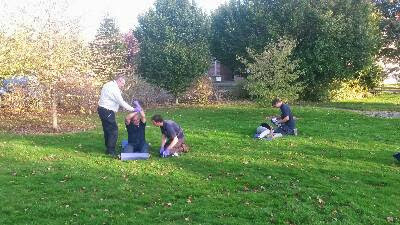 Day two of a First Aid At Work Requalification at the Berkshire College of Agriculture, near Maidenhead, Berkshire. 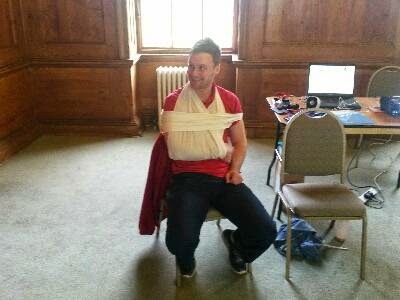 Top marks for bandaging and slings today. 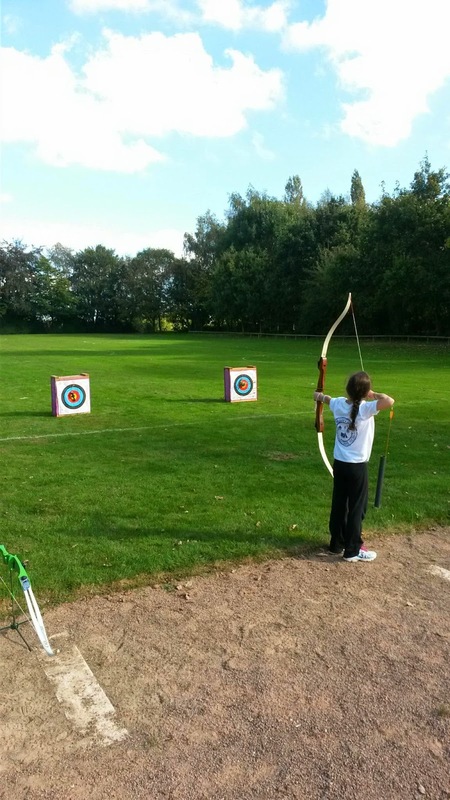 Everyone did really well with the celebration of learning to finish off the day. Day one of a two day First Aid At Work re qualification with AED certificate, for staff at the Berkshire College of Agriculture (BCA) near Maidenhead. The team got to practice CPR, AED and choking, with a smidge of bleeding and shock in the afternoon. Vinnie Jones made a guest appearance albeit on the Hard and Fast video, this was not as popular as the neoprene choking suits. Day two will be covering sprains and strains, burns with a celebration of learning to finish the day off. Looking forward to an Emergency First Aid At Work course with staff from the Horse Trust on Saturday, and completing the last day of a First Aid At Work course with Community First Responders from the Ambulance Service on Sunday. 3:0 to Chelsea against Tottenham Hotspur. 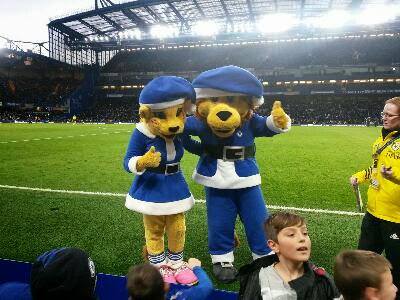 A very chilly night working for ERS Medical at Chelsea, warmed up with a couple of possible stretcher cases off the pitch. Each time the physio's looked after the players and we were stood down. Returning Saturday the 13th for the Chelsea, Hull match. 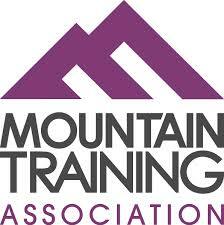 Home tonight, ready for two day First Aid at Work Requalification at BCA College starting tomorrow. Day three of a First Aid at Work course with responders from South Central Ambulance Service. Really great to work with keen volunteers, who give up their time to help others. Sadly it was too late for Bert, listening to me for six hours proved too much. Great morning at Stokenchurch Medical Centre running a Basic Life Support course for the local community. A full house sported a wide range of people and ages joining us to either renew old skills or learning new. We are running a second course on the 10th December, there are still a few spaces left for anyone interested. 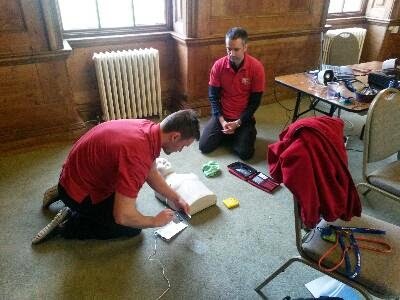 The training is well timed as the local community have bought two new AED's, we managed to include an introduction to their use in today's training. A cool and misty night at Kempton Park Race Course working for ERS Medical, providing medical cover for race goer's. An early and cold start this morning for the 06.00 opening of the antique fair held twice monthly at Kempton Race Course. 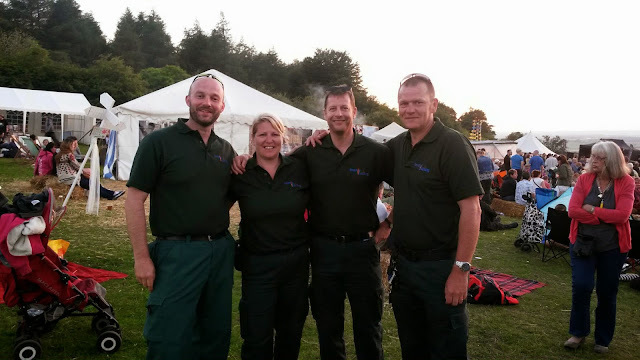 Working for ERS Medical and wrapped up the hilt it's never dull taking in the stalls and items available, from toys to historic military items and everything in between. 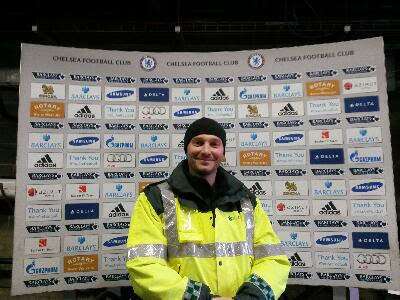 Working for ERS Medical covering Chelsea first team whilst they played Albion, beating them 2-0. Back in December to cover their home games. Evening Flat at Kempton, live on racing UK. "Hello Mum, I'm on the telly!" It's been a cold and clear night working for ERS Medical providing first aid cover for the crowd. There has been some happy punters with big wins tonight. 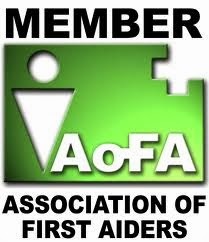 Last day of a two day paediatric first aid course for staff at the Attic Nursery in Thame. We split the course over two week's to accommodate working patterns. 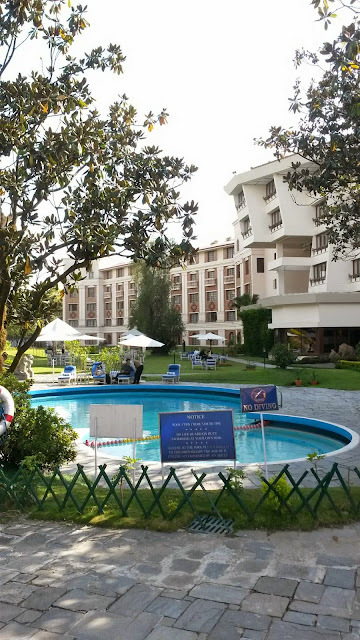 The candidate's were enthusiastic and fun to work with, the venue was excellent. 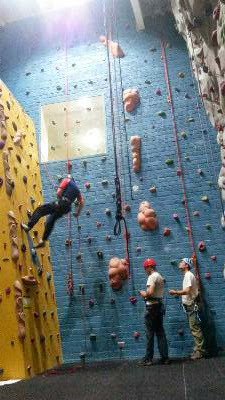 Sadly I was a little too tall to have a go on the activities. Yesterday I ran sessions with Doctors and healthcare staff at two local surgeries to update their basic life support skills. 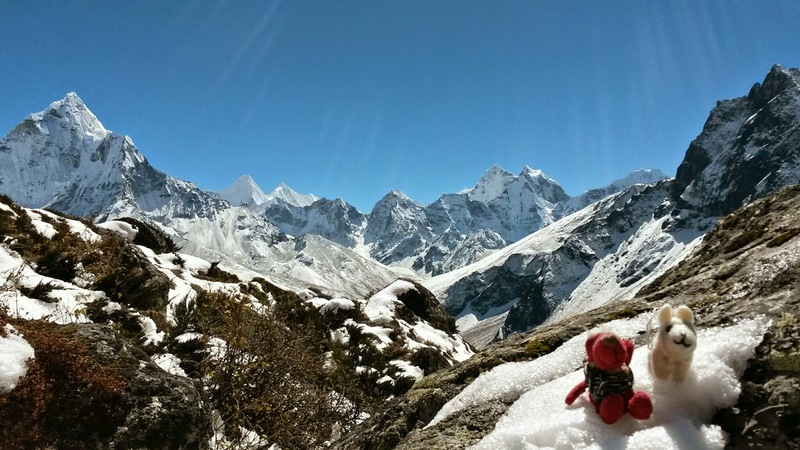 GP's require annual updates to keep their resuscitation skills fresh in case they are needed. Last day working with VLM Adventure Consultants for a while. 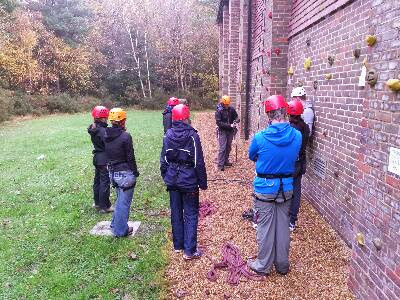 We provided site specific training for staff from Frensham Heights School, activities include zip wire, high ropes course and climbing wall. 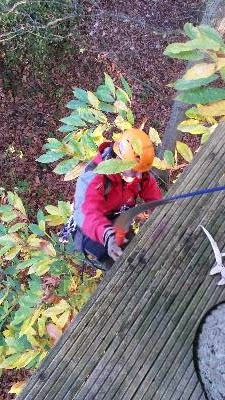 Another exciting day with VLM Adventure Consultants working at Frensham Heights School near Aldershot. 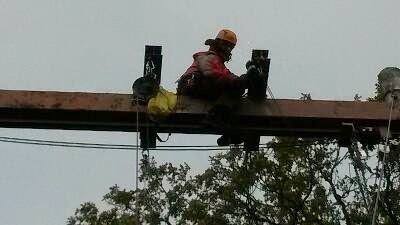 The day comprised of replacing worn metalwork on the high ropes course and some tree trimming on the zip line. 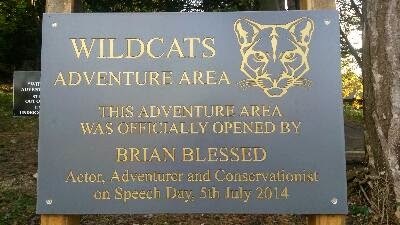 A very busy day at height working with VLM Adventure Consultants at Bethany School in Kent. 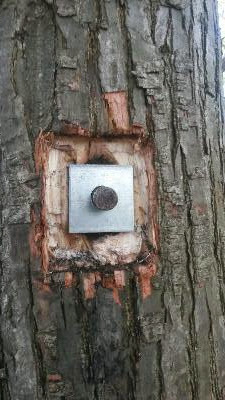 The day was ropes course maintenance, including a little pruning, fitting backplates to eyelets and working on the backup system for each element of the course. 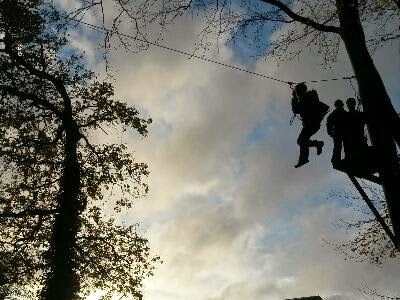 The ropes course winds its way through woodland, designed and built by VLM providing a popular activity for pupils. 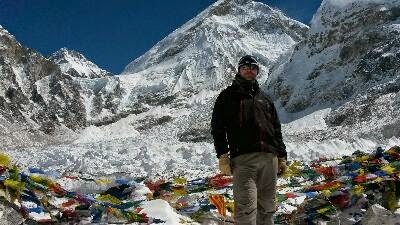 Another busy day working with VLM Adventure Consultants. Staff training at Caterham School and inspection of equipment and facilities. 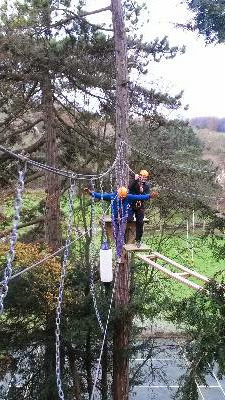 The ropes course at Caterham School is very impressive built by VLM Adventure Consultants. 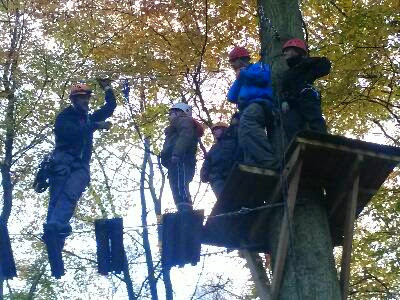 The staff worked hard on the different elements for their annual training, demonstrating the skills required to take pupils on the amazing treetop adventure. 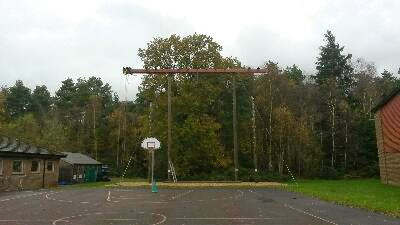 Exciting opportunities lie ahead for the school with the visionary use of the ropes course to encourage outdoor learning. 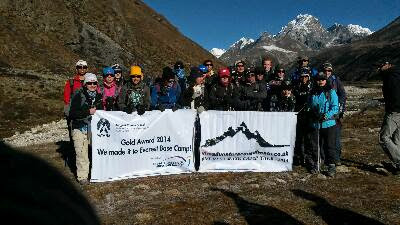 To complete the day, the course and all equipment were checked and signed off for another year. 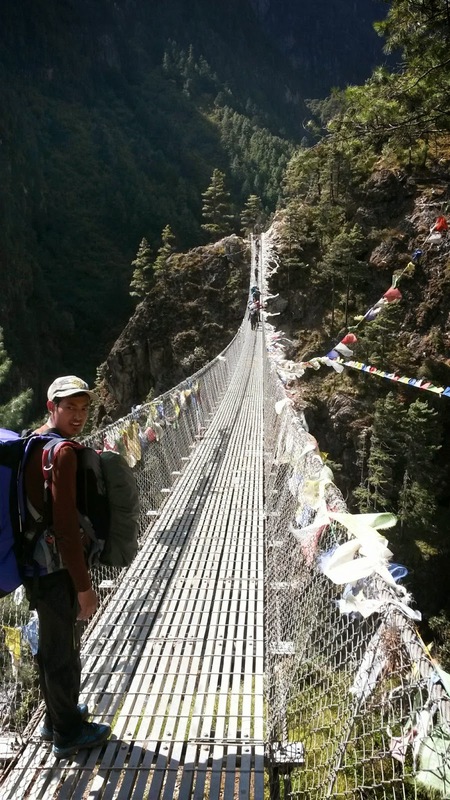 This week I'm working with VLM Adventure Consultants. 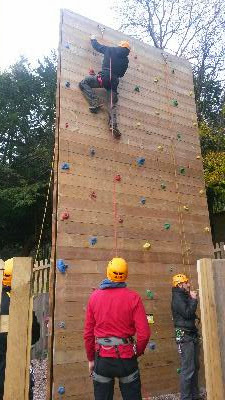 Today we were training staff at Sevenoaks School to use their fantastic climbing wall and ropes course. 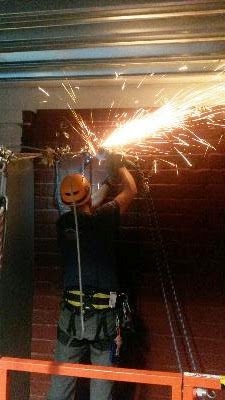 We also completed some work to improve the anchor system on the ropes course. 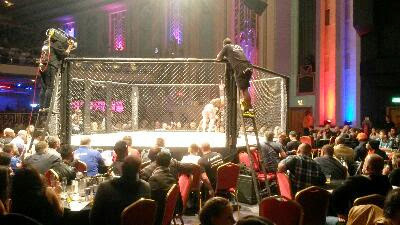 A busy night at the Troxy! Working for Michaela and Fight Medics at a professional cage fighting competition at the Troxy in London with paramedics Mick and Graham. Fighters need pre and post medicals, plus medical cover for the ring. There is a huge crowd and a great atmosphere. It has been a week of little ones. Completed day one of the new Level 3 Paediatric qualification with staff from Attic Nurseries in Thame, day two to follow once back from road trip. 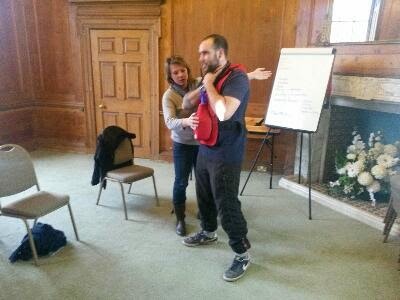 A particularly pleasant evening running a first aid for parents course with new Mums from Penn in Buckinghamshire. 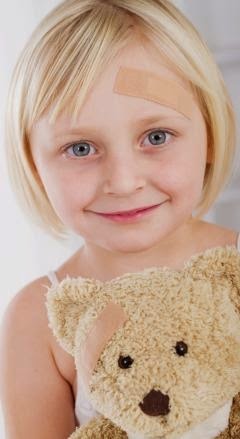 It's a worrying time suddenly taking on the responsibility of a little person, some first aid training goes a long way for peace of mind. Please visit website for more information on Paediatric courses and other training opportunities with Invenio Training Ltd.
Chelsea 2, QPR 1. Exciting match at Stamford Bridge home of Chelsea FC. Working for ERS Medical proving pitch side medical cover for players, with a team of paramedics and technicians. 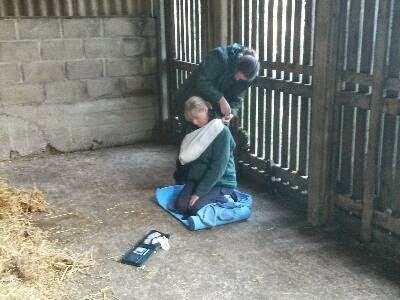 New for 2014, pet first aid. Would you know what to do if your dog was involved in a car accident or was immersed in freezing water? 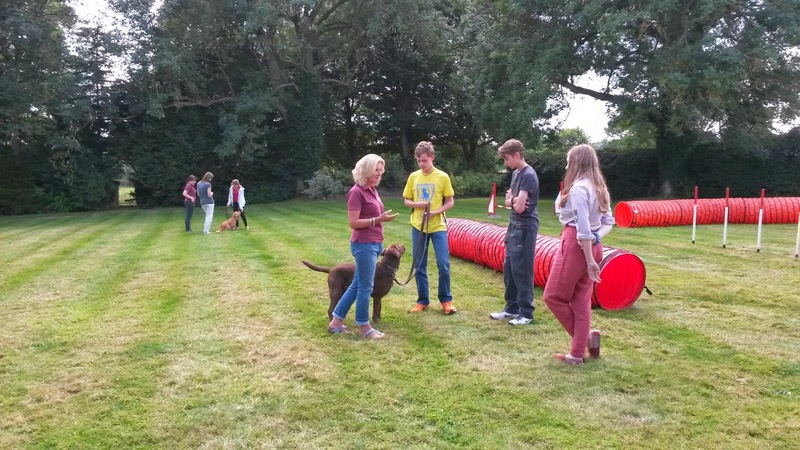 Working with Hearing Dogs for Deaf People we ran a two day course looking at all things doggy. Our intrepid dog lovers learned about pet first aid, including CPR, breaks, bleeds and illnesses. 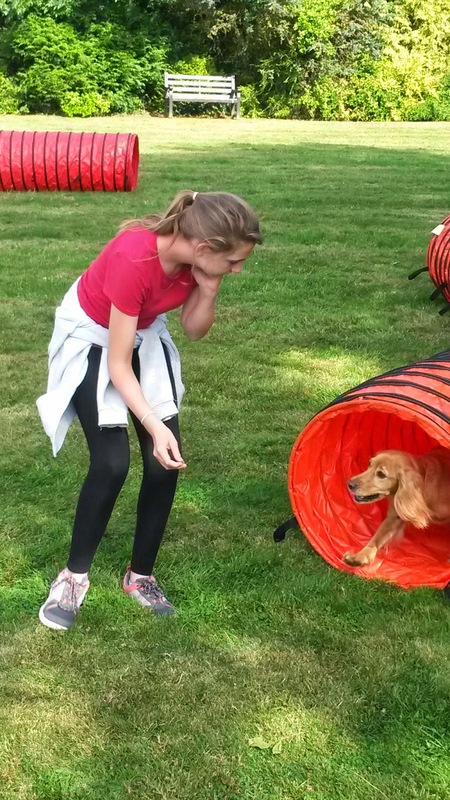 They worked with Hearing Dog trainers and staff to get some important tips for training dogs, welfare, grooming and an insight into the important work the charity does. 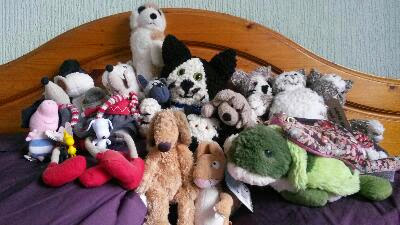 Everyone had a wonderful time, made some new friends and met some cool dogs. You can't take him home! I'm not going in there after you. 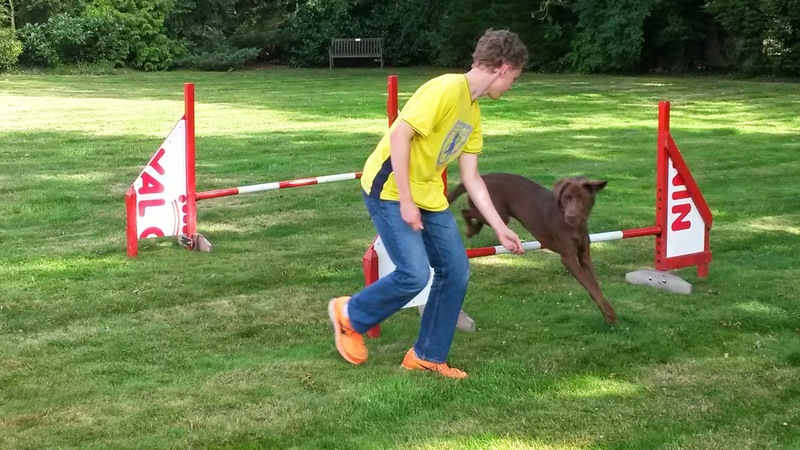 Seriously, what has this got to do with dog training? I have been in the presence of greatness, an afternoon of flat racing followed by Sir Tom Jones at Sandown Park working for ERS. 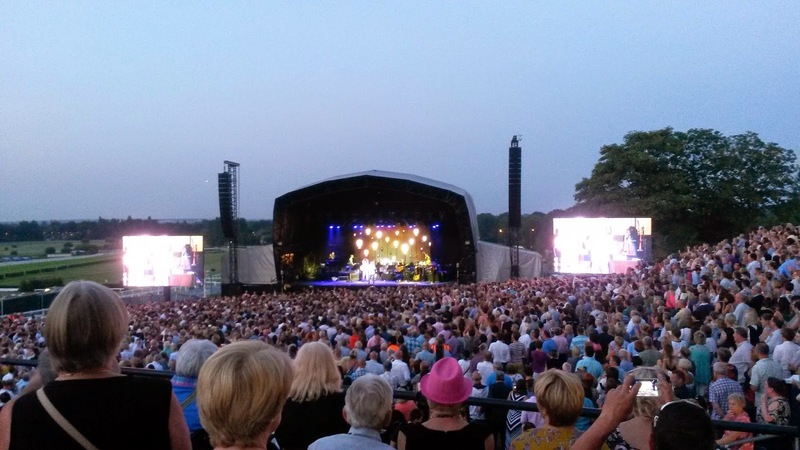 Sir Tom really is the consummate entertainer, his performance was excellent and had all 11000 people singing and dancing. Great weather and a great atmosphere led to a fantastic night for all. Yes, that is Sir Tom Jones.